It’s been quite a year! 🙂 In this post, in keeping with the Blog Carnival abstract, I am going to reflect on what I’ve achieved this year, as well as my projects, plans and goals for next year. They were brilliant. What a wonderful, wonderful course. I learnt ever such a lot (for evidence of this look here) and had such a lot of fun in the process, thanks to lovely tutors and lovely course mates. The best thing is, I’ve been using my learning from the modules ever since: For example, from Multimedia and Independent Learning came my interest in learner autonomy and resultant projects that are currently in progress at work, and thanks to the Materials Development module, I’ve thoroughly enjoyed making several sets of materials, some of which you can find here. My 30 things… post, which came about as a direct result of all the learning in my time at Leeds Met, managed to win the June 2013 edition of this award – a great honour for little ol’ me and something that has brought with it opportunities that I wouldn’t otherwise have had. For example, the British Council webinar I will be doing in February next year: my first ever webinar. I’m not at all scared….ahem. On the theme of blogging, my little blog has blossomed this year. I started blogging in May 2011 and between then and May this year, posted very little and was visited very little. Then I suddenly found I had things to say and share, resulting in a lot of content being added to this blog over the last 7 months. I also went from 4,000 odd views to now just over 40,000. Quite a big jump! But it’s not the numbers or quantity of content that is important, it’s the profound effect that having this reflective space has had on my professional life. It’s a wonderful thing, being able to share teaching-y things with teachers all over the world. And, of course, reading others’ blogs has remained a great source of inspiration to me. I presented for the first time at the 16th Warwick International Postgraduate Conference in Applied Linguistics, which was on the 26th June 2013 at the University of Warwick. My presentation was based on the research project I did for the Research module of my M.A. and I thoroughly enjoyed the experience. It was a gentle way in, being as all the other participants were also students and I had already presented my research as part of the assessment for the M.A. module. This first time was swiftly followed by the second time, less than a month later: This was at the MATSDA/University of Liverpool 2 day conference, themed “Enjoying to learn: the best way to acquire a language?” on the 13th and 14th July 2013 at the University of Liverpool. If you haven’t been to a MATSDA conference before, I highly recommend it. It was a lot of fun and a very supportive atmosphere for a novice presenter. For details of my presentations, please see this link. Bubbling away in the background, behind all the excitement of the presentations and blog award, was my dissertation. My constant companion for about 4 months, the D-beast definitely represents a large chunk of the time, energy, focus and dedication that has gone into this year. It was worth it in the end, as not only did I find it a very satisfying experience (though towards the end I was worried I would never finish in time! ), but I also came out of it with a respectable 82%. This sealed my overall distinction for my M.A. 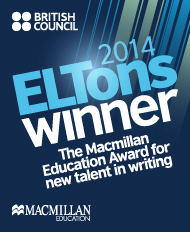 in ELT, of which I am very proud: it represents a LOT of very hard, yet enjoyable, work. But not only hard work on my part: my tutor who supervised me for the dissertation gave up a lot of her time in order to meet with me and look at/feed back on what I’d produced at various points, as well as giving me lots of support and encouragement throughout the whole process: Thank you, HB! I am fortunate enough for teaching at IH Palermo to have become my first post-Delta job. It’s a great school to work in, with a very supportive and friendly atmosphere, as well as a lot of opportunity for continued development. Since I have been here, I have attended workshops on teaching young learners, teaching using Headway, teaching teens, dealing with parents and, last but not least, pronunciation. I have also been observed while teaching, and received a high quality of helpful, constructive feedback subsequently, as well as had the opportunity to observe my peers. And then, of course, I have embarked on the IHCYLT (IH Young Learner Cert) course – which deserves its own bullet point! I’m also learning Italian, being as prior to moving to Palermo I had never learnt nor spoken any Italian in my life before. (Oh except learning the numbers, the word for England and good afternoon/please/thank you when I came on holiday here with my aunt’s family, aged 16 or so) I study every day before work and read extensively every evening and over the weekend. I also listen extensively. I think I’ve learnt a lot of language since I’ve been here (still just under three months though it seems like forever longer!) and it’s been fascinating being a language learner again. I did a few lessons at the school but stopped for a variety of reasons (including lack of time, the YL course starting, and just not getting on that well with the lessons). Learning independently has been a lot more successful and I’ve learnt a lot from how I learn – if that makes sense (it does to me…)! Thank goodness. This time next week I will be on holiday. I intend to finish all the YL coursework I need to do *before* the holiday and have a complete rest (if you can call Christmas etc a rest :-p) over the 2 weeks I’m off work. It will be the first real, proper holiday since August 2013. I am very, very, very in need of it! In February, I will be giving my very first webinar (as mentioned earlier in this post), on the topic of learner autonomy. I hope my audience will be gentle with me… 😉 I’ve been experimenting away with various tools and ideas for helping learners become more autonomous and am looking forward to sharing what I’ve learnt and to having peoples’ responses to what I say inform what I do with my projects in future, too. One of my goals for next year is to deliver a workshop at work. (Sometime *after* the YL course finishes, of course! 😉 ) I think it would be a very valuable experience. There’s a MATSDA conference in June, when I shall be back in England (8-month contract), which I very much hope to attend. I love conferences: they are so inspirational. One of my goals for next year is to work on a pre-sessional course at a University in the U.K. over the summer. I am thoroughly enjoying working on my learner autonomy projects and helping my learners become more autonomous learners and this is something I want to continue working on next year. I want to read a lot more on learner autonomy theory and motivation theory (currently in the middle of a book on each subject). 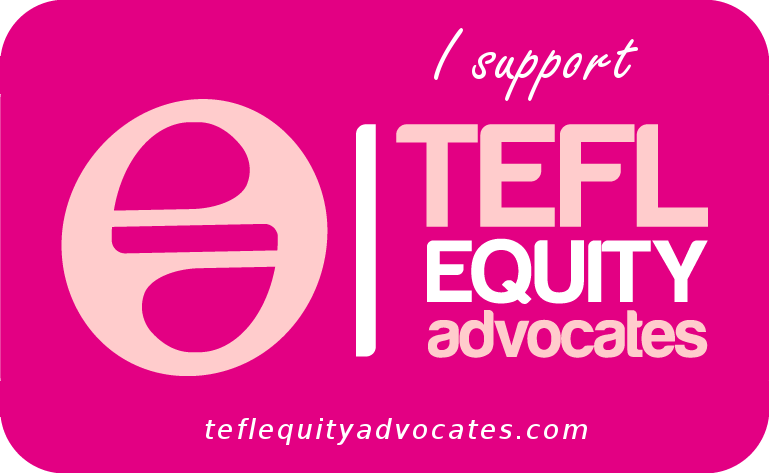 As well as the afore-mentioned learner autonomy and motivation theory-related texts, I want to keep abreast of developments in the ELT world by continuing to read the journals and professional magazines that I have discovered through doing my Delta and M.A. I also want to reread and reprocess my notes from these courses, and keep the learning fresh as well as add to it. I want to keep working on my Italian – I’m feeling enormously motivated – and for my speaking to catch up with my reading and listening….at least a little!! At the moment, my work-life balance is not awesome. (Thanks, YL course!) I’m very much looking forward to having my weekends back but, that aside, outside of frenetic times (of which there will be another in late January when a whole bunch of courses end) I want to try and spend less time at work and get more exercise during the week. If I keep going for toooo much longer at the current rate, I suspect I will burn out. Plenty to be getting on with…! Meanwhile, I’ve one more week left of term, which will see teaching practice observation no.3/4, parents consultations, a course ending (and attendant marking/reports/admin) and the usual load of YL tasks to be getting on with… no rest for the wicked! Here’s wishing everybody a fantastic 2014 – live your dreams! This entry was posted in Conferences, Leeds Met Delta / M.A. ELT, Materials Development and tagged conference, Delta, dissertation, learner autonomy, Leeds Met Delta / M.A. ELT, materials development, reflection. Bookmark the permalink. I’m out of breath just reading all of that Lizzie! 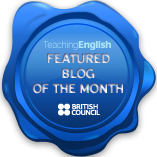 it’s been great to see how your confidence in your teaching, blogging, and sharing have developed this year, and to read all your thoughts about it. I might not always have commented, but you always leave me thinking. Good luck with all of your future plans, and I hope 2014 is just as awesome! Good for you, Lizzie! Sory for being a bit late, but KUDOS! !